Sometimes I have clients that are hesitant to spend money on drapery panels. I can understand. We are talking about several yards of fabric (often dozens), custom fabrication, weeks of lead time, and ultimately, thousands of dollars; however, in defense of drapery, I want to discuss the functional reasons behind why investing in drapery is worthwhile. 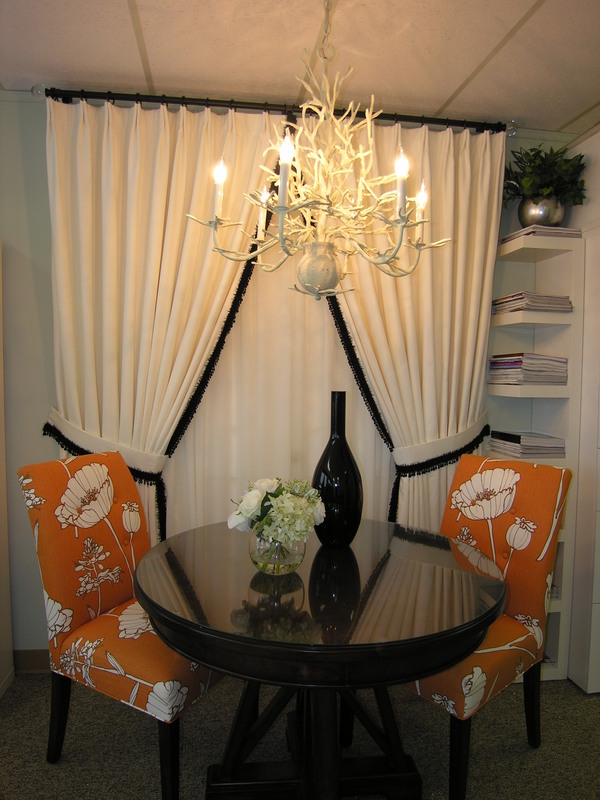 When you walk into a room where someone has installed custom drapery, you notice the difference immediately. 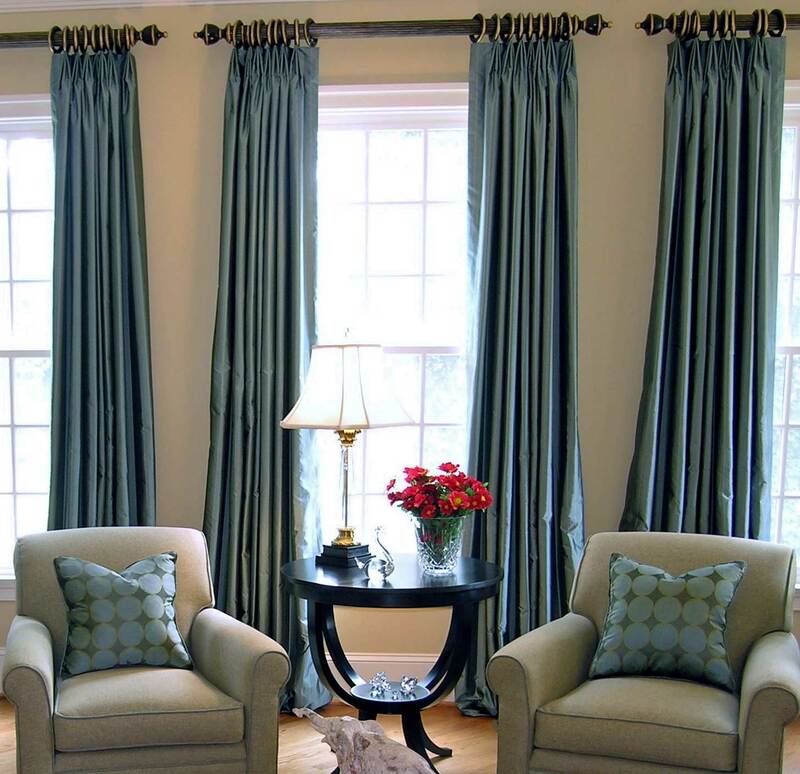 Fabricated drapes are heavier than store-bought drapes, custom-sized for the height of the window and ceiling height, and created in thousands of different fabrics and patterns, making them stand out. Without a doubt, there is obviously beauty to drapery, but there is function too! 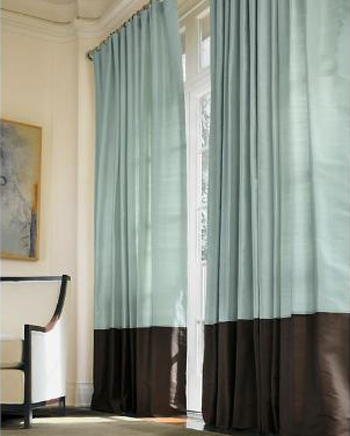 Fully functional drapery panels helps make your home more energy efficient. 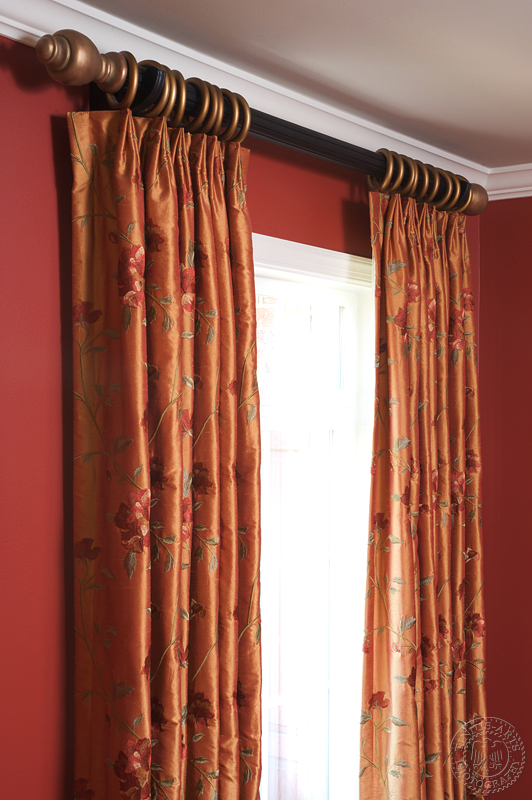 The lining, interlining and fabric that is sewn together to create beautiful drapes keeps your house warmer in the winter and cooler in the summer! 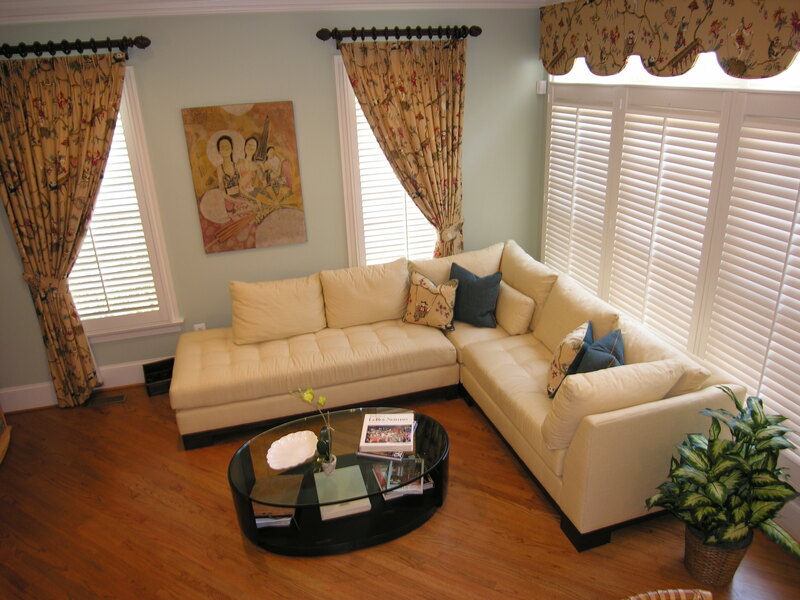 The actual window treatment design can in fact aid in the energy efficiency of your home as well. If you are an eco-conscious buyer, there are many other reasons to invest in drapery. Fabrics have come a long way in the past several years and much of the fabric industry produces their products with an awareness for the environment and recycling. 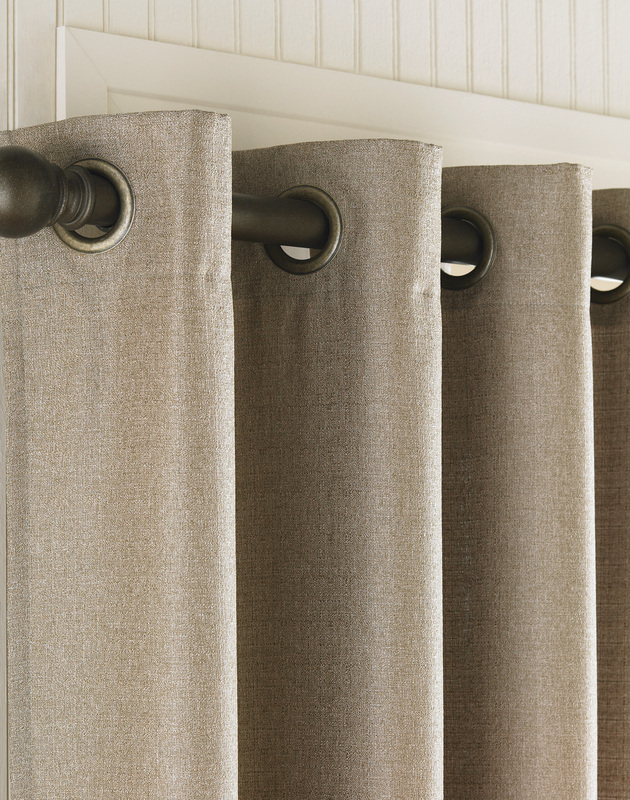 In the long run, investing in drapery is a solid choice because it adds value to your home, saves money on bills, and enhances a room’s overall style. Don’t be shy about drapery if you have pets or children. There are alternatives to expensive silks and prints! Drapery can be designed to be functional for all types of families no matter what their needs are. I had never thought that custom drapes could be used as an insulator. I love the pics associated with this article. 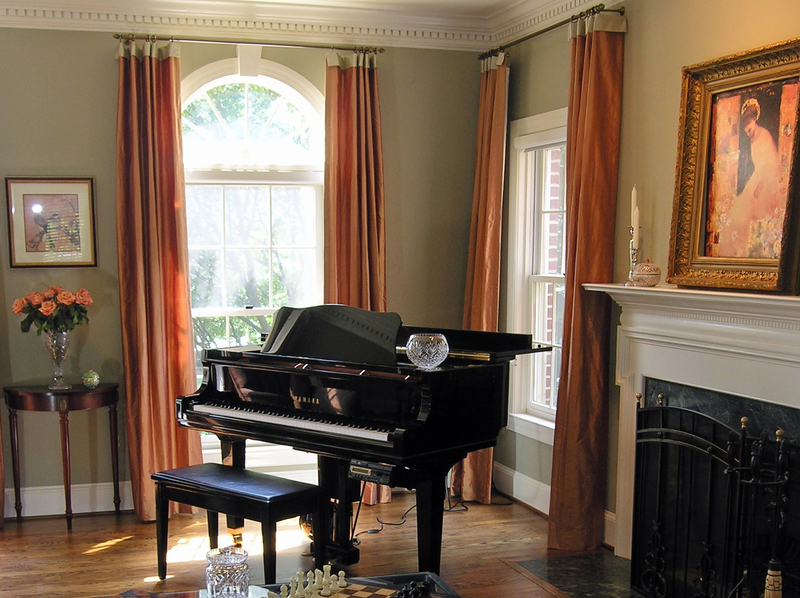 Drapes do make a difference with not only the look but value of a room. Now if only I can get my husband to invest in some. Thank you for the information. Do you have any recommendations on where to purchase? Thank you for your comments and for checking out our blog. 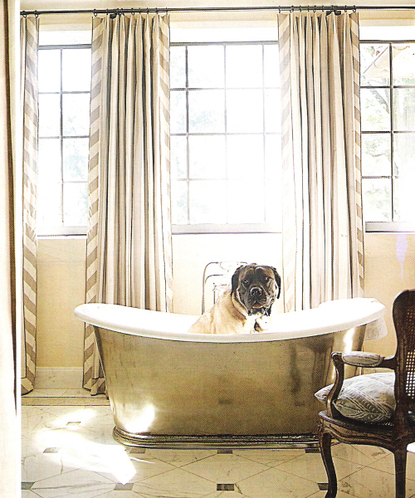 If you want a ready-made drape, you can check out Bed,Bath and Beyond (for a less expensive option), Pottery Barn (for a medium-priced retail option) and Restoration Hardware (for a more expensive and customizable retail option). 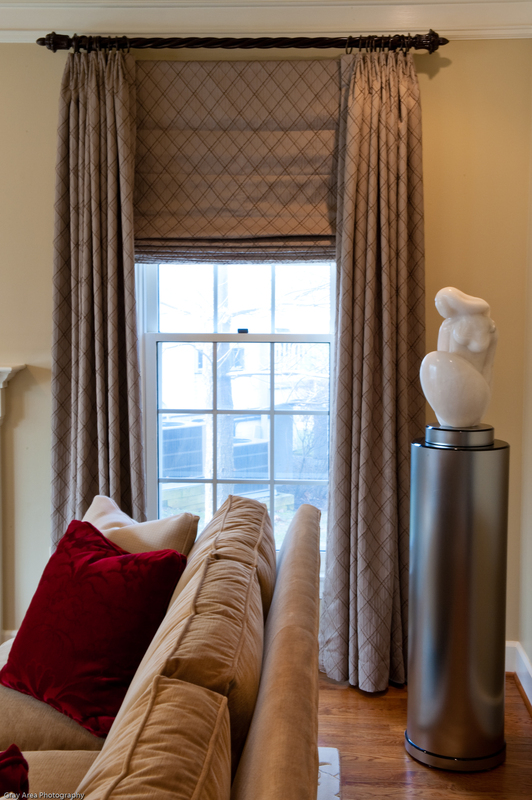 For custom-made drapes for large windows or unique designs, we make them and so do places like Calico Corners or Ethan Allen. If you need any additional ammo for your husband, let me know. Otherwise, thanks for stopping in. Keep the comments coming.